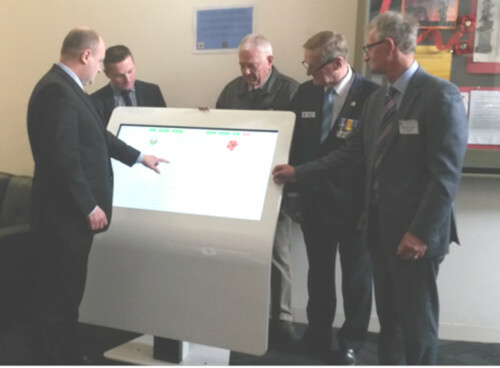 Jason Wood, Member for La Trobe; Cr Brett Owen, Deputy Mayor Cardinia Shire; Eric Chaplin, President Upper Beaconsfield RSL; Wayne D’Arvard, President Berwick RSL; Graeme Taylor, President BPA looking at new Digital Memorial. JASON WOOD Federal member for La Trobe officially opened the Digital Memorial at Beaconsfield Community Complex on Friday 31 August 2018. The Digital Memorial honours the names of 66 Beaconsfield Servicemen from World War One to record names, military history and life stories. The touchscreen is easy to use just like mobile phones. This allows people to touch and swipe the screen to navigate information provided. As well as the servicemen, the Digital Memorial has information on World War One with Summary and Timeline, Shrine of Remembrance, the four other World War One Memorials in Beaconsfield, Conflicts in which Australia has been involved, information on Poppies and Remembrance Day. The project was mostly funded from a Grant of $10,000 from the Australian Government of Veterans’ Affairs. 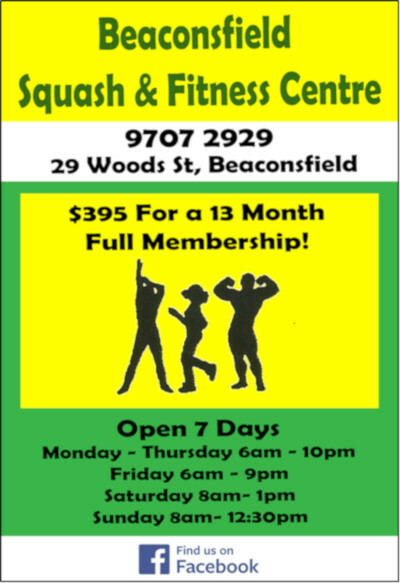 The Digital memorial will be accessible on week days when the Beaconsfield Neighbourhood Centre is open and also at other times by arrangement. The Digital Memorial has been nominated for the Victorian Community History Awards 2018 in the “Multi Media History Award” category.